Hinduism vs proselytizing religions in the market of ideas. Jaideep Prabhu set the proverbial cat amongst the pigeons with his provocative article in Firstpost titled “Is religious conversion a fundamental right” . He makes a forceful argument that a blanket ban on proselytization and conversion cannot be considered an assault on fundamental rights. Goes on to say. Abhinandan Sekhri of News Laundry made a sincere attempt to debunk it. Then Sandeep chimed in with a fine rebuttal on India Facts. Which was then rebutted again. Meanwhile, Scroll.In carried a piece by Shoiab Daniyal summarizing the states that have regulated conversions and explaining Rev Stanislaus vs State of Madhya Pradesh. Sekrhi, Daniyal, and dare I say the majority of our educated middle class share the following view. A proselytization ban is the paranoid and insecure Hindu using his numbers to weasel out of competing in the free marketplace of religions. Some nuggests from their articles. Sekhri: I am an absolutist when it comes to freedom of speech and expression. This is a concept alien to many who live their lives in fear of extinction, in insecurity and paranoia. Daniyal : Finally, the fact that individuals can be legally tied down to their religion of birth and do not have the full freedom to make their own decisions is one in a long line of measures taken by the Indian state that treats the country as a conglomeration of communities and not of individuals. This is an extremely slippery slope to be on, one that the country must look to get out of. I will try to address the problems with the liberal expectation in this post. Lets recast the argument into simple terms. Hindus claim to have a great religion with a very rich tapestry of rituals, practices. They talk about the Dharmic faith’s superior notions of absolute truth vs “The word”, its inclusiveness and lack of violence towards Heathens. There is also no top down layer of clergy that intrude into your way of life, no punishment for heresy or apostasy, no excommunication. If these are such great virtues as you claim, then why not let Christian missionaries do their gig – then you go in and present Hinduism. Let the people decide. Now this is too simplistic. Almost no one converts because they are attracted by these high doctrinal differences. They convert for more mundane reasons such as temporal benefits. Then the argument continues. Fine, lets say the Christian missionary from Alabama is teaming up with a local Diocese and building a school and offering a seat in exchange for hopping on board. Why cant Hindus build a school and match him? If he can fly 40,000 miles into a strange land why cant Hindus do this in their own land? I believe this is a very important, widespread, and valid expectation that needs to be addressed head on. I believe Rev Stanislaus as well as the Freedom of Religion laws in a few Indian states are the wrong place to start. Defining “Force and Fraud” is tough and worse it equates the “act of conversion” to a discrete contract. Conversion is not a single contract but a life time of smaller contracts. While the specific act of conversion; say dunking in a pond maybe free of duress, the subsequent obligations on a newly converted individual may not be. Which is why legal bans on the act of conversion alone are so problematic. Let us examine what the costs are for a new convert. The first cost of a convert out of Hinduism is that he loses his right of free religious syncretism. For those who may not know – religious syncretism is a way of improvising a religion by selecting desirable elements from various sources. Syncretism is a heresy. The second cost is he subjects his freedom of everyday living to a layer of clergy. 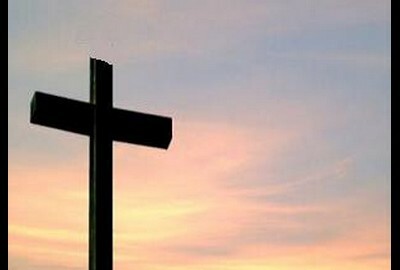 The key to remember is Christianity is not ONE religion but many branches. If a family converts into say a Pentecost – they lose their right to wear jewelery, flashy clothing, compulsory congregations etc etc. Converts into Adventists or LDS or other protestant denominations have to make quite a few changes to diet and social practice. Your typical elite Christian friend usually can get away with a lot of things, but new converts are typically monitored and required to have a certain level of participation. The extent to which these rules are enforced depends on the local congregation or parish, but there is always some enforcement. So the costs for a new convert are giving up syncretic i.e, his pagan practices and subjecting themselves to monitoring from a layer of clergy. On the benefits side; there are those who genuinely find the regimentation and the singular truth to be attractive. But outside of that circle the benefits are more temporal. One might expect to erase caste identity by smothering it with a larger and more visible one, but even that has to be mixed with something tangible. More aggressive missionaries simply give cash or loans.The single most important benefit however is always access to educational services from lowest to the highest levels. So, the urban liberal wonders All this is fine, but why cant Hindus do the above too instead of clamoring for a ban on proselytization ? Until this point. I am solidly with Sekhri, Dhaniyal and the secularists. After all, if it turns out that all the purported benefits of Dharmic religions like its ability to syncretize and offer religious autonomy have a net economic cost of being lesser than a school seat – we Hindus have a bigger problem. Hindus should focus on providing that school seat or medical services etc instead of preventing others from doing so. But this ignores the elephant herd in the room. The so called market is neither free nor fair. The law is used to first burden and then checkmate the Hindu response and to encourage conversions in an insidious way. But it isnt Shah Bano or Uniform Civil Code or Ayodhya temple or Haj Subsidy that is the culprit. These are red herrings – I have chased them too and discovered that they have limited effect due to their lack of impact on public law. The real distortion is in the educational landscape. Most recently the UPA’s outright communal programs like minorities-only scholarships, explicit govt cash to minority schools only, and MSDP have started to contribute to the distortion. A band of Nehruvian Indians might have pulled off the biggest mass hypnosis in history. It is to make Indians inert and exhibit zombie-like behaviour when interacting with the institution of law. It took me a few years to snap out of it, so I wish to help others too. People assume that the laws in force must have a some moral basis. Because? Well, various eminent folks are deeply and visibly engaged in law and so many of our politicians are also lawyers. We occasionally see streams of groups and individuals obtaining relief from the courts. We also trust the argumentative legal community to have enough vitality and a culture of dissent. If the eminences hold forth bizarre positions – their sparring partners will rush in and demolish them. Say this doesn’t happen, all you see in the media is happy silence or mutual admiration. You are trained to assume that this consensus indicates that the laws must be fine, completely in alignment with modernity and Rule of Law, and our own constitution. Our inner unease with its morality and unfairness must be explained in other ways. Is it due to our inherent belief systems, maybe it is our Hindu faith that must be questioned ? This confusion exists only in the groups have been burdened by law, as I explain later. Sorry for the detour, but this is essential to understand how the Hindu is unable to, rather prevented by law from, responding effectively to proselytizing religions. Lets now turn our attention to the specifics. In terms of political economy, Dharmic society should be treated as a conglomeration of ‘discrete and insular minorities‘ (to borrow a term from a US Judge Harlan Stone in his famous footnote in Carolene Products). Therefore the very idea that there is a permanent political minority in India is wrong. That such a permanent political minority is exactly the same as Christians and Muslims is even more suspect. They are able to freely make alliances with Hindu groups like Yadavs, Kurmis, Kurubas, the various Tamil groups, etc and we just got off a decade of rule of the Congress party which brought together this alliance. So the real discrete minorities in India are small Dharmic groups, jatis, and tribes practising a bewildering array of rituals. Problem 1 : Rights of Dharmic discrete and insular minorities are ravaged by an extremely low standard of judicial scrutiny. This is exactly the opposite of the US position. Followers of my Twitter account are frequently annoyed at my focus on “minor” matters like the Jallikattu ban, the continuous harassment of Dahi Handi activities, the recent animal sacrifice ban in Himachal temples, the superstion bills etc. Let me explain why this is of such paramount importance. If Dharmics have to respond to Proselytizers they have to bank on their strength of diversity and inclusiveness. Now for many of the Dharmic groups, their primary interface with the larger fold is in through their practices. If the law adopts a very low standard of “baby scrutiny” and bans age old Hindu customs like animal sacrifices in HP just by looking at some gory pictures; that group stands humiliated. Its members are confused. For example : Jallikattu organizers (Tamil Hindus) are unable to understand why packing cattle in trucks and slitting their throats by the thousands every single day is not only legal but subsidized by govt but they get to go to jail for playing with their pet bulls? Similarly Himachali Hindus are aghast that their Jatka sacrifice on one day to their Devi-Devta is illegal but year round Halal slaughter in pink revolution is not. They then turn to liberal intellectuals in India for an answer and are met with silence. In stark contrast, the US when confronted by a ban by the State of Florida on animal sacrifice by the Santeria religion – threw it out in Church of Lukumi Babalu vs State of Florida. In India, the establishment has arranged the legal system in such a way that the practices of ‘discrete minorities’ which comprise the Dharmic faith are easy pickings for any activist. On the other hand, practices of Semetic minorities are completely immune. This preference might then be duly conveyed by the proselytizers to the masses as the Indian state establishing their religion as a ‘preferred’ one . In Problem 1, we saw that when the state injures a Dharmic minority group the court usually lets it pass with “baby” scrutiny. On the positive rights side, Dharmic groups are denied gratuitious rights available to Semetic religions. The biggest and most important conflict site is in the realm of education. I do believe this is the biggest Indian story since independence. What started off as a negative right ; ie dont touch our schools, has now turned into a monster. I have documented extensively how far the minorities have come in appropriating the domain of education. This is aided and abetted by lawyers, media, and intellectuals. Furthermore, the wealth of Hindu Dharmic Jatis and Tribes are captured in Temples that are under secular administration. The funds of the dioceses and Islamic trusts are in their own control. Despite all this – Hindus have managed to squeak through and enter the education sector. But the Right to Education Act has the effect of stripping them of even this and turn the clock backwards. By thrusting a intrusive inspection and compliance regime, under constant pressure from various High Courts over PILs from NGOs, forced into immoral cross subsidy, endless lotteries, media defamation, and nomination issues – Hindus are forced to beat the retreat. The minorities, even the publicly funded ones, however are entirely immune from this. We have to understand the paradigmatic importance of control of access to education when it comes to free market of ideas. It is not just about schools raking in money. Most in fact dont rake in money directly. Those who run schools and colleges wield tremendous influence. High court judges and former chief ministers routinely approach and beseech top school management to accommodate their kin. The issue with aided minority schools and colleges are even worse. For example: We are trained to believe St Stephens Delhi is a model college worthy of replication. But if you told an American jurist that the Indian govt not only provides full aid to parochial colleges with explicit discrimination but also imposes more burdens on completely private Hindu colleges – he would be aghast. The US goes to extraordinary lengths to ensure public money doesnt touch private or parochail schools. See my posts on St Stephens here and here. Do any of these recommendations sound weird ? 1. Re-open all cases of imposing burdens on discrete minorities and subject it to enhanced scrutiny. This will lead to overturning bans on Jallikattu, HP Animal Sacrifice Ban and others like Nag Panchami. 2. Nudge a doctrine of strict scrutiny for any future case of banning or even regulating any minority cultural practice. 4. If you cant turn over Hindu temples to Hindus – atleast stipulate that 60-70% of temple funds appropriated by HRCE & lying as unused bullion in State Banks must be routed to Hindu Trusts to run schools. 5. Roll back the concept of aided minority schools and colleges, or actually any “aided” school where management of govt money is in private hands. Either the govt runs the school or not. 6. Open up wide debate on moral and legal basis of the 93rd Amendment where only Hindu run colleges are subjected to a yet-to-be-declared quota system. 7. Immediately discontinue UPA’s over the top egregious programs like IDMI and MSDP. It stuns me we still have them, but that is a topic for another day. To ask for ‘let Hindus duke it out in market of ideas’ with proselytizers is a clear sign of ignorance. A complete disconnect with the strategic landscape in India. You have to roll back all that I have mentioned for a level playing field to emerge. First Idea of India style laws need to undone, their arguments deflated, and a new confident regime of uniformity rolled out. Its not an easy task. Why do minority schools not publicize their “status” ? Not a single person I interacted with knew that Vibgyor was a Parsi Minority school nor had information about exactly what “minority” any of the major schools were. Be it DPS Schools in Bangalore or Ryan International or any of the hundreds of schools. Why is secrecy the norm? I walk through this extremely important issue in this article. Our school has a stay on RTE admissions by virtue of considering our school a minority Institution. We have filled all the positions in Std 1 by minority students and as such no further admissions will be accepted from RTE students. Further BEOs have notified RTE admissions could be done up to 21st April 2014 in all the schools. Therefore the parents could approach other schools for admissions as there is enough time. I simply could not figure out what “type of minority” this top school in Bangalore was. Why is it important?Read on. A remarkable fact of India’s education system is the existence of communal exemptions and separate processes based on religious and linguistic identity of individuals who operate schools. Only schools established and operated by Hindus are subject to the recently enacted Right to Education Act with a safety valve that some Hindus can claim what is called a “linguistic minority” exemption. Even outside the Right to Education Act there are a number of benefits bestowed only upon minorities and equally a number of burdens such as the RTE that are only imposed on Hindus. The net impact of this is that in any given state, the local majority population is severely discouraged to enter the education sector by arranging the incentives against them. How we ended up in this grotesque situation is a huge story for another day. In this article, lets assume that IF these exemptions and processes are justified what are the public obligations of schools that claim this exemption. First take a step back the examine the special status as an exception. If you argue that minority privileges are exceptions to the rule of equality, then it follows that there are duties that come with the exemption. As per Art 29 of the constitution, these duties include preservation of their unique culture and religion specific to the group claiming the exemption. Stated simply – everyone can run schools but minorities get something special if and only if they do XYZ for their communities. If not, it doesnt mean they are oppressed and get to scream atrocity. It just means they get to operate schools like everyone else. This is how it works all over the world. If you argue that minority privilege is the rule, and the concessions to Hindus to operate schools are the exemption, then it follows that there are no obligations whatsoever . Simply – everyone can run schools but minorities are special because the ones running them belong to minority religions. In this model, minorities are simply privileged by law to be the preferred providers of education in this country. This is of course outlandish but still needs to be explicitly mentioned and discarded with due care. You will not believe how many think this to be the constitutional position. Here is a simple question that will stump the best of the Idea of India intellectuals and lawyers. Go ahead and ask them this. What rights can an individual from the minority community assert against minority educational institutions ? There are all kinds of rights but lets look at what I consider to be the most basic of them all. The right to “public notice”. The right to simply know which institutions are minority ones so that you may approach those institutions and assert your rights to the extent that you have them. The notice has to be public rather than being private or secretly circulated. What we have today is a secret notice. This kills the rights of minority individuals right off the blocks. As a minority individual you would not even know that a particular school/college is claiming Art30 exemption on your behalf UNLESS you are a member of a club that has access to this secret info. The real reason why schools deny public notice rights to their own minorities is that in reality these people just want to run NORMAL SCHOOLS not PAROCHIAL SCHOOLS. This is a battle for the soul of India, the youth and who gets to have them as a captive audience for the fist 21 years of their lives. To that end, on the outside they project a secular modern face but through the backdoor assert their sectarian Article 29/30 rights by stating they are working to preserve their ‘culture’. Very few people, not even their alumni knew that a leading school in Bangalore National Public School School was a Malayalee Linguistic Minority school. Admission to this school is so limited that only kids of the super elite and connected make it through. So even if it is not about monetary profits, schools like this have acquired enormous influence in a scarcity. They are now seeking exemption from the Right to Education Act on behalf of Malayalam language rights in Bangalore. What follows is not pretty. This means that over the past few decades, generations of Malayalam speaking kids in Bangalore were not able to assert their rights – because they had NO NOTICE that this was a school for them. Data shows that only 8% of the students are Malayalees. Similarly, Vibgyor school which was in the news recently for the abuse of a child, is apparently a Parsi Minority. I remember on Twitter, folks were playing “Guess the minority game”. Just yesterday they won a massive victory in our court system. Appearing for the aggrieved school, counsel T.R. Andhyarijuna told the court it was an old minority institution run by the Parsis and was covered by the constitution bench judgment that exempts aided and unaided minority institutions from the ambit of the RTE Act. He said that merely because the petitioner school did not have a certificate of being a minority institution from the National Commission of Minorities or the state government or a competent authority, it would not erase its minority character. There are other schools like Ryan who reserve a mere 5% of the seats for Christians, some do 10%. These are all formulae made up on the spot without any principle. The underlying desire is always to run a normal school for all including and especially the Hindus youth. All the while exempting themselves from burdens and including themselves in benefits. Recently the world renowned newspaper The New York Times carried a lie (actually a half truth) in its print as well as online edition. The following was written by an Indian reporter Mr Manu Joseph on the RTE. Pay attention to the phrase in bold “by and for”. It is a half truth or a lie because even those run by minorities and for everyone or even by minorities and for others qualify for the exemption. You may think this is a minor issue but it is central and changes everything. If a minority runs a school FOR its own flock, it means that the flock in return have rights against the managements of these schools. This is not an innocent mistake. It is intended to mislead the western audience that our Education laws fit in with their conceptions of uniformity. A practical solution. Will minorities accept ? I propose to recast Art 29/30 into a new language of rights. Not of rights of managements but of the kids belonging to the minority community. Here are practical notice requirements. A large yellow coloured board outside each minority school, clearly visible and legible from a distance of 50m stating that this is a minority school. A Public Notice of Rights – for each minority school under the above board stating what type of minority school this is. Whether Malayalee, Konkani, Parsi, Christian, Tamil. Enumerate Rights available: Under what circumstances can a Art 29/30 school select a Hindu student over a Minority student of the same affiliation as the school. All students of a minority have to be accommodated before opening up to Hindu and minorities of other groups students. If any minority wants to to be free of notice duties, they always have the option of getting in line and running the school like everyone else. If some minority like the Konkani minority in Bangalore High Court tries to say “But we only have 1 kid from our community” then simple pro-rata rules can be applied. This means that for very tiny minorities either you refuse to grant the status or you simply pro-rate the rules applicable to all. For example : If Vibgyor entry class of 100 has only 2 Parsis – then the 98% would be treated to the 25% quota (Sec 12 of RTE) as well as the compulsory lottery (Sec 13 of RTE). It is time to really bring these issues onto the front burner. It is abundantly clear that there is a Lutyens consensus between the old UPA regime, the Supreme Court brotherhood, the Idea of India intellectual movement and the current BJP government. The court has also clearly laid out a sectarian and communal vision rooted in scarcity as the education roadmap. So much so that even covenants and lease deeds entered into by Minority schools are exempted by elevating Art 30 over basic contractual obligations. The only challenge to this travesty is isolated voices like ours on social media. To conclude ; everyone needs to be alert because. Saffron robes rush in where black robes fear to tread. I had a few interactions on Twitter today in response to this tweet. Some were quite angry with my position. The Congress led UPA government introduced Sec 135 into the Companies Act. This mandated all eligible companies to set aside 2% of their pre-tax profit towards Corporate Social Responsibility programs. In between my campaigns against even more egregious laws like the Right to Education, I have tried to spread awareness of this ill conceived scheme. In this post, I collect all my thoughts on why CSR needs to be repealed forthwith. I hope our new dispensation gets wind of the real dangers of this scheme. 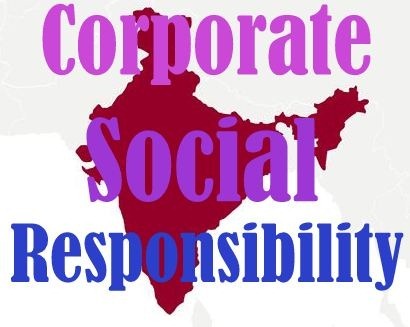 The new law mandates that all companies, including foreign firms, with a minimum of Rs.500 crore, turnover of Rs.1,000 crore and net profit of at least Rs.5 crore, spend at least two percent of their profit on CSR. It is estimated that anywhere from 6000 to 8000 companies fall into this criteria for a net yield of USD $ 2.5B to USD $8B. The beauty is as the economy grows more companies make more profits and more funds are released for social work. This should suffice for the purposes of this post, there is plenty of info on Google and Corp Affairs Website if you want more. Key confusion – whose money? A lot of folks on Twitter were angry with my tweet. They wondered “Why are you attacking a noble philanthropic gesture from Ms Murty?” They forget that the money donated by CSR activities is 2% of the pre tax profits of the companies and not their personal money. This distinction can be hard to get. Let me explain this further : Say a company makes 2500Cr/Q in pre tax profits. They have to set aside 2% = Rs 200Cr/Yr for CSR activities. If there were no CSR – this 200Cr would normally be paid out as extra dividend to shareholders. The promoters and board of directors are also shareholders but they are spending the Rs 200Cr/Yr that belongs to all shareholders. In my view ; this is simple breach of trust and theft of shareholder money. What I am about to say is very counter intuitive. There are two types of CSR, with examples. CSR activities that have a hidden motive of profit. Working with villagers whose lands were acquired for cheap, providing safe transport for women employees, training local unskilled labour for use in factory. 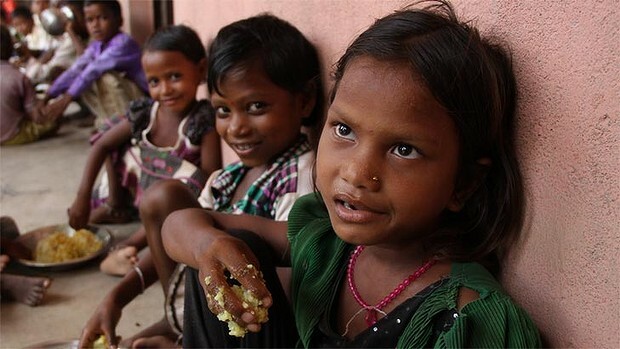 CSR that are done out of real heartfelt concern for social good. These activities have no hidden profit motive and are done to purely uplift the underprivileged, provide scholarships to needy students, provision hospital equipment in far off places. They are not designed to increase profits. The upside down thing is this : The second type of CSR done out of pure concern for the underprivileged is breach of shareholder trust and theft of their money. The former type of CSR with hidden profit motive is understandable !! Therefore my main problem with all CSR including those from Infosys Foundation, Reliance Foundation , Shiv Nadar, Bharti Foundation and all the rest is that they are indulging in philanthropic activities. There are actually two issues here. First Ipso Facto, mandatory CSR is undesirable as a philanthropic pursuit as I will explain. Second, the counter argument assumes a scenario where a 2% additional corporate tax replaces the 2% CSR. The argument is that money spent by well intentioned and people of integrity like Mrs Murty Ms Mazumdar Shaw or Mr Tata is far better then cycling the money through the corrupt govt delivery system. As a purely social pursuit CSR is abhorrent because it substitutes the preferences of thousands of shareholders with that of a couple of promoters. This is not to say that minority shareholders need to have a veto power on day to day business judgments. The assumption is that minority shareholders trust the board of directors and company executives to be able to best deliver profits being in possession of the right information and technology. However, after having made profits – the minority shareholders have no such expectation on CSR money. They expect either dividends of reinvestments that would work to increase future profits. This is basic market mechanism. This is also why NO OTHER COUNTRY in the world has mandatory CSR. Say you did not have the CSR and simply distributed the net yield of Rs 25,000 Cr/yr to shareholders as extra dividend. Now those shareholders have extra money they can allocate to their favourite philanthropic activity. Many will allocate it to Hindu temples , others to Churches. Some will allocate to RSS – some may write a check in favour of, shudder; a non Idea of India think tank. The point is the masses decide the allocation and some of it will be for unpopular causes in the eyes of the “in crowd”. If you look at the law as well as the mission statements of these “foundations” – they explicitly rule out donating to religious trusts and those that dont sign up to ‘equitable society’ as defined by them. Here is a F.A.Q. Words like Equitable Society are controversial because they never tell you what it means in concrete terms. All we know is that in their worldview an equitable society isnt one where the profits are returned to investors. To sum up , the skew is that recipients such as temples, village rituals, Hindu schools who would otherwise be beneficiaries of normal everyday people are now cut out of the loop. Secular and posh NGOs who would never be the recipient of normal everyday donors are now rolling in crores. This is an abhorrent and unacceptable skew. I do not even want to get into the outright communal and vitriolic campaign by the likes of Ram Guha who doubt the Hindu Societies willingness to be philanthropic. With CSR money, an entire galaxy of corporate angels are born. They are able to project their philanthropy far and wide, in slums and forests, from billboards where Ambanis and Tatas and Mittals beam down on you hugging poor kids. They are almost the new government. They are accumulating enormous social and dare I say, political capital. To the extent it comes out of the 2% mandatory CSR it is social heroes created out of stolen money. Sooner or later, these larger than life angels will back political parties or think tanks and their aura rubs off on them. Worse they can condemn certain other types of thoughts and guide the dissent that way. Contrary to what you think a 2% extra corporate tax is better than Mandatory CSR. An extra tax can help rationalize bring down, overall corporate tax rates for big and small corporates. Once the money is in the govt kitty we atleast have democratic institutions that determine how they get spent in accordance with wishes of the people. The corruption argument is not worth responding to, because it would mean all income tax is bad and we should be allowed to buy gravel and tar with our money if we want public roads. There is no principle behind the 2% number either. Why not 1% or 5%? Clearly companies with large social and environmental impact such as Mining, Meat Packing, large consumers of water, need to spend way more than 2% to get the folks in their impact area on their side. Anyway you look at it. This mandatory CSR disrupts market mechanisms, creates uncertainty, skews philanthropic allocations, introduces more regulation and compliance, endless nuisance of NGOs bickering and fighting with each other, extortion. But there is one bright spot. It applies to all religions. C’est la vie.